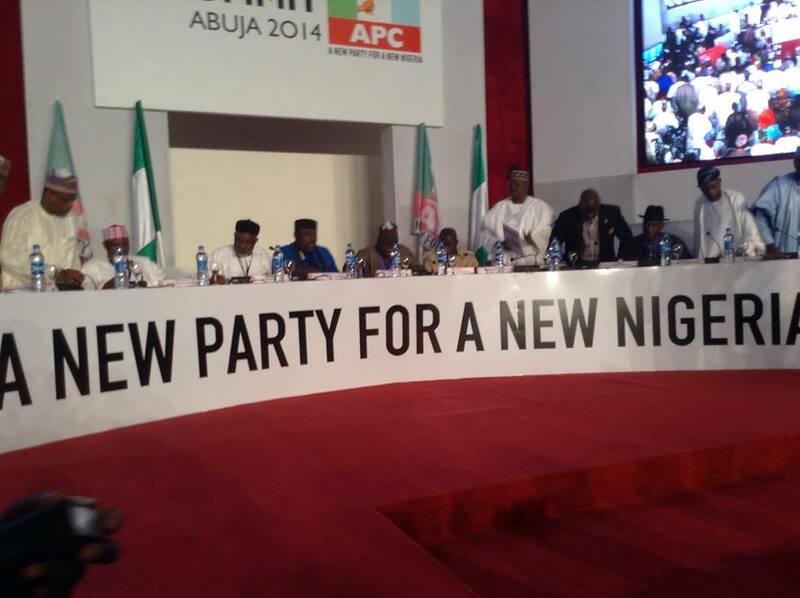 Nigeria’s main opposition party, the All Progressives Congress, APC, Thursday, unveiled its manifesto and code of ethics. 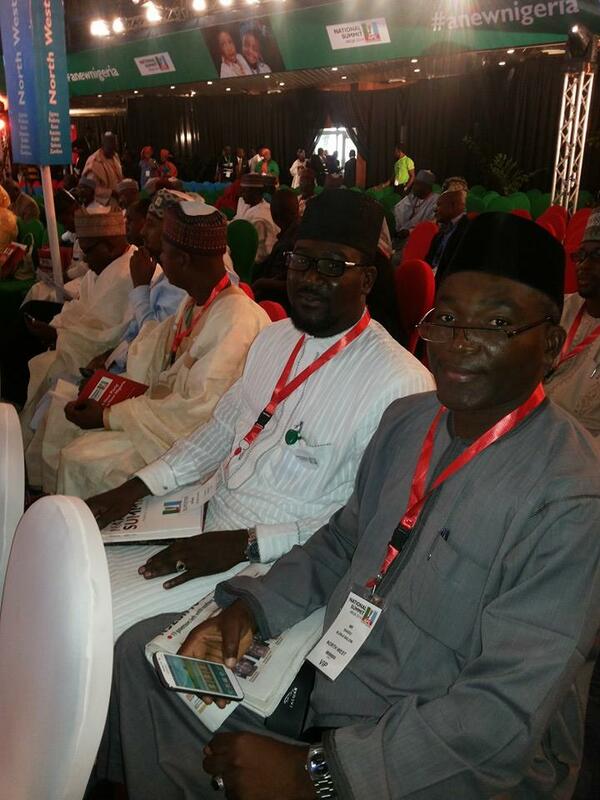 The launch was done at a well-attended national summit of the party held at the Congress Hall of the Transcorp Hilton, Abuja. The party’s Code of Ethics, a set of rules it said will govern its activities, has ten principles by which the party commits itself to Nigerians. A copy of the code of ethics, which was signed by the party’s leaders including its 16 governors stated that APC is committed to working towards a nation that is economically and socially vibrant, peaceful, just and secure. The first item on the code of ethics said the party considers the Nigerian people as its greatest asset and that it will do everything to protect human life and dignity. It also pledges to uphold a Nigeria that is bound by the principle of freedom, justice, peace, unity and the rule of law. The code also said APC respects every person’s choice of faith. The party said, in the code, that it has no tolerance for corruption and would manage the country’s resources responsibly. Other items in the code of ethics include a commitment to a strong system of government at all levels in order to preserve the unity of the country. Also, the party’s manifesto, tagged ‘Road map to a new Nigeria’ stated that the APC’s philosophy is the welfare of the common man, and the assurance of a great future for the youth, and a decent and quality life for all. APC said the test it has adopted for all its policies as contained in the manifesto is “Will this policy create jobs and benefit the youth and ordinary Nigerians?”. It said the cardinal principle of its manifesto is the commitment to a nation where every citizen has the opportunity to work and earn a decent wage, and where the disadvantaged elderly, the disabled, and the unemployed are assisted by the state. The APC said it is committed to a nation where the curse of corruption is no longer tolerated in its political, social and civic affairs. 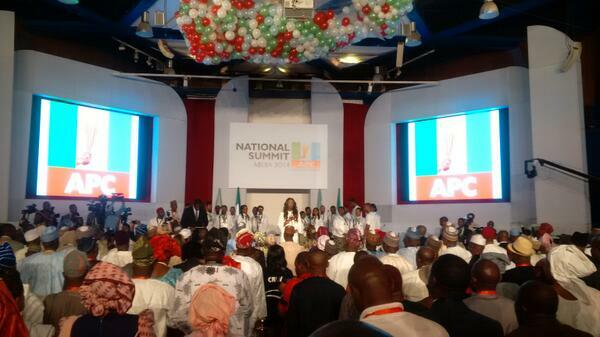 The first item on the APC manifesto is job creation. It said roughly one in four Nigerians and half of young job seekers are unable to find work, adding that the number of people whose jobs do not cover the cost of food and housing is even greater. To this end, APC said it will create 20,000 jobs in each state of the federation immediately for those with a minimum qualification of Secondary School leaving certificate and who participate in technology and vocational training. It said it will encourage state governments to focus on employment creation by matching every one job created by the state government with two jobs created by the Federal Government. The party said it will provide a direct conditional monthly cash transfers of Five Thousand Naira to the twenty five million poorest and most vulnerable citizens upon demonstration of children’s enrolment in school and immunisation, in order, it said, to help promote job empowerment. APC also said it will establish Technology/Industrial estates which will be fully equipped with ICT, Power and other support across the country to attract and encourage small scale technology businesses and other entrepreneurs. The opposition party said it will provide allowances to discharged but unemployed Youth Corps members for 12 months while they seek jobs or acquire training and skills for job placement or entrepreneurship. Other job creation strategies by the APC as contained in its manifesto is the establishment of plants for the assembly and ultimately the manufacture of phones, tablets, computers and other devices. It also said it will pay a guaranteed indexed-link price to farmers to ensure that there is always a readymade market for their produce. The party said it will provide one meal a day for all primary school students which will create jobs in Agriculture, including poultry, catering and delivery services. The second item on the manifesto is the fight against corruption. The APC said it will show zero tolerance for official and /or private sector corruption. It said it will place the burden of proving innocence in corruption cases on persons with inexplicable wealth, just as it pledges to pursue legislation expanding forfeiture and seizure of asset laws and procedure with respect to inexplicable wealth, regardless of whether there is a conviction for criminal conduct or not. It also said it will guarantee the independence of anti-corruption and financial crimes agencies by legislation, charging their budgets directly to the consolidated revenue fund. The party also pledge free, relevant quality education. It said it will make the right of every Nigerian child to receive a free, relevant and quality education a reality, based on free and comprehensive primary and secondary education. It pledged the provision of free tertiary education to students pursuing science and Technology, Engineering and Mathematics. It said it will provide free tertiary education to Education majors while also paying them stipends prior to their employment as teachers. Other major items on the APC manifesto include the review and restoration of the country’s agricultural sector, as well as the construction of one million low cost houses within the first four years as part of its Agric and Housing policies. APC said it will provide free quality comprehensive health care based on national health insurance scheme. It also pledged to stop all foreign travels at government expense for the purpose of medical treatment. In the area of peace and security, the APC said it will allow states to have their own local police forces that will address special needs of each community. It also said it will establish a serious crime squad with state of the art training and equipment to combat terrorism, militancy and ethno-religious communal clashes. APC said its government will provide a comprehensive compensation plan for victims of ethno-religious crisis, communal clashes and terrorism. Prior to the unveiling of the code of ethics and manifesto, the leaders of the party sat on a panel moderated by Kadaria Ahmed where they discussed how the legacy parties merged to form the APC and how they were able to surmount apparent challenges to form the party. Also, Governor of Lagos state, Babatunde Fashola, who delivered the commencement speech, said the summit was coming at a time the country needs a party like the APC to provide the required change necessary to move to a better future. The Lagos governor stated that the country’s potential is being bastardised by the party in power, the Peoples Democratic Party, PDP. “People are tired of the politicians who turn one group against another for their own political gain. We’ve all seen it. We all know how it works. We all know how demeaning it is to our nation,” the governor said. Also, House of Representatives minority leader, Femi Gbajabiamila, while speaking on behalf of the APC House of Reps said the APC seeks a new Nigeria for the good of all. “In APC, we speak of a New Nigeria where our God given human and natural resources are fully harnessed for the greater good. Every time I remember the words of the great Bob Marley I wonder if he had Nigeria in mind when he sang “in the abundance of water, the fool is thirsty,” he said. 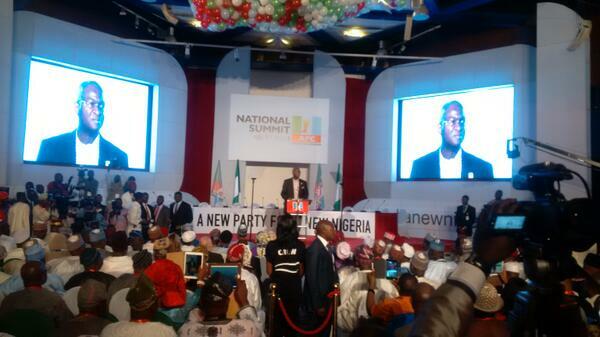 Mr. Gbajabiamila took his time to describe the new Nigeria that the APC seeks to ensure. “We speak of a New Nigeria that can truly be called a federal republic practicing a federal system and not a unitary system. “We speak of a New Nigeria where other arms of government are truly independent and where the rule of law reigns supreme. “We speak very expectantly of a New Nigeria where no child will be left behind and education will be a right and not a privilege and where being shoeless will no longer mean being clueless. “A new Nigeria where the word impunity will become a thing of the past and 16 will no longer be greater than 19. “We propose a New Nigeria where whistleblowers will be protected as is done world over and corrupt officials will be served their just dessert. “Ladies and gentlemen we speak of a New Nigeria where no one is a second class citizen and where we will all be our brother’s keepers and though tribe and tongue may differ, in brotherhood we will stand. “We must take our country back from rent seekers and extortionists. Apologies to Mallam ElRufai for this seeming surreptitious plagiarism, but we must take our country back from accidental public servants who do not give a damn and hand it over to those who care and are prepared and ready for the job,” Mr. Gbajabiamila said.